SKI SCHOOL – Our professional instructors will help you improve your skills and create greater enjoyment from the sport. 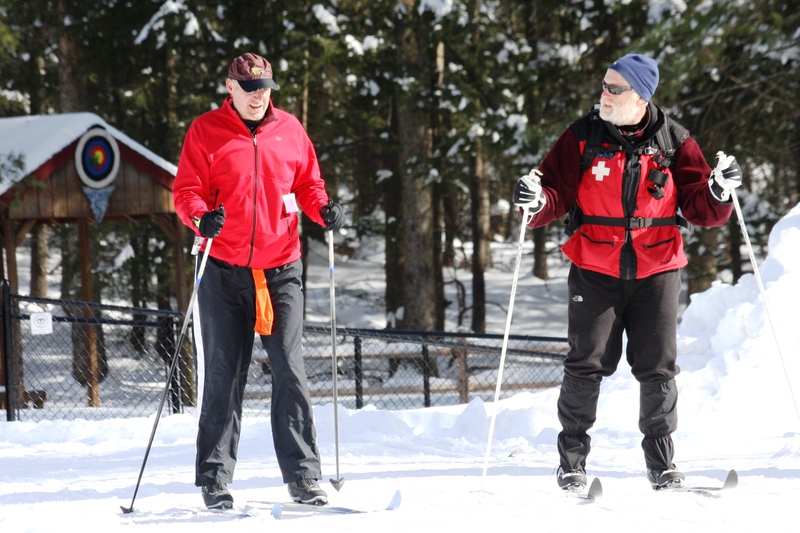 Whether you are a novice cross country skier or a veteran, our experienced staff has the knowledge and understanding to help you master the techniques utilized in this sport. Group and private lessons are offered daily. Weekends/Holidays at 9:30am, 11:00am, 1:00pm & 2:30pmPrivate lessons are scheduled by appointment. First Time skiers can learn to ski at a great price. The Learn to Ski Package includes skis, boots, poles, a beginner lesson and trail pass.